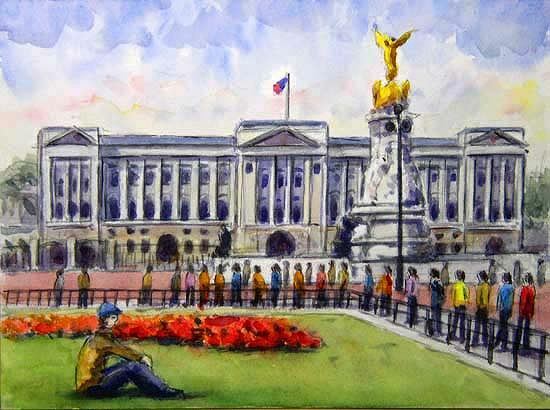 Buckingham Palace….The Official Principal Residence of the British Monarch’. Originally a country house of the Duke of Buckingham, King George �Y remodeled it into a palace in 1825. In front stands Queen Victoria Memorial topped by gilded Victory. The Palace is open to the public each summer.